Mere screenshots do not do this action-packed game justice. 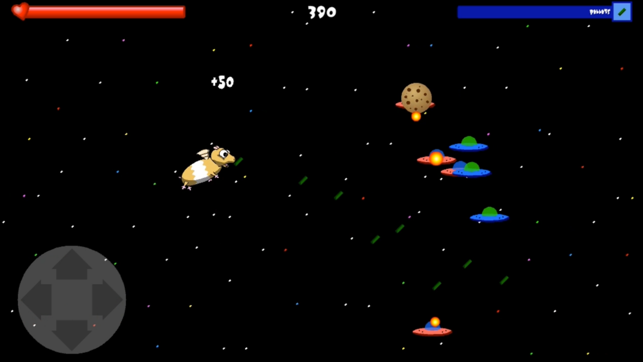 The mega-sized flying hamster Hambert is free! 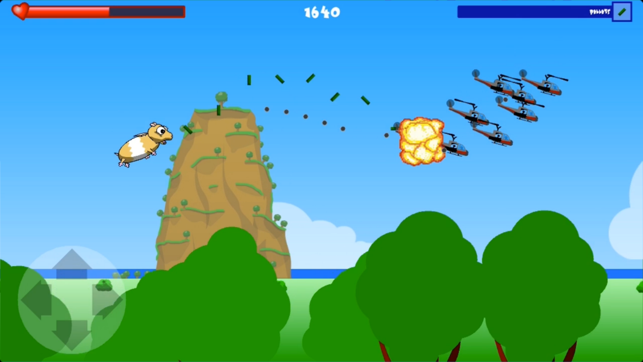 Take control of the winged menace as he terrorizes the skies by accident. 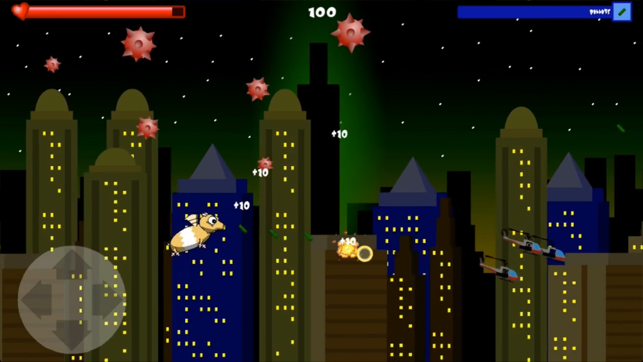 Shoot foolish planes, helicopters, jets, pirate ships, and more with pellets, peanuts, fireballs, hammers, tacos, cupcakes, cats, and over 12 different weapons! Avoid spike balloons, cannon balls, rocks, giant saw blades (What are they doing in the sky?) and fireworks. Collect bonus rings, cookies, hearts, and obnoxious and explosive weapons on your flight through the skies of Chaoticas, and even into outer space! How far can you travel? - Try New Levels in the Online Challenge. 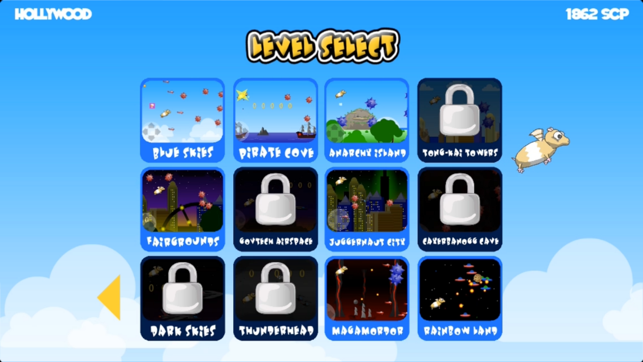 New levels added without having to update your app! - Venture through 12 different areas in any order you like in Adventure Mode as well as battle 3 different bosses ... but who are they? 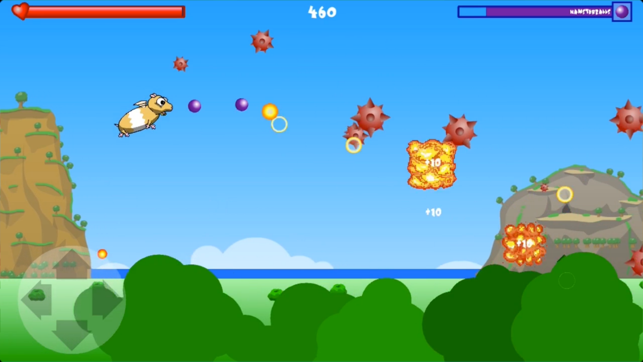 - Collect weapons like Peanuts, Dynomite, Hamster Balls, Lasers, or Sunshine. 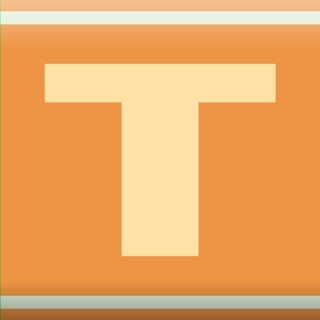 - Levels randomize, providing unexpected changes every time you play. - Beat all 15 Levels in one sitting? 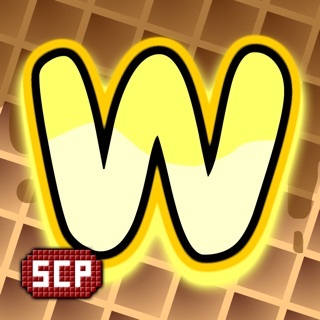 Earn 500 SCP Coins for your SCP Account.